How to create a perfect Weight Loss Tracker?? 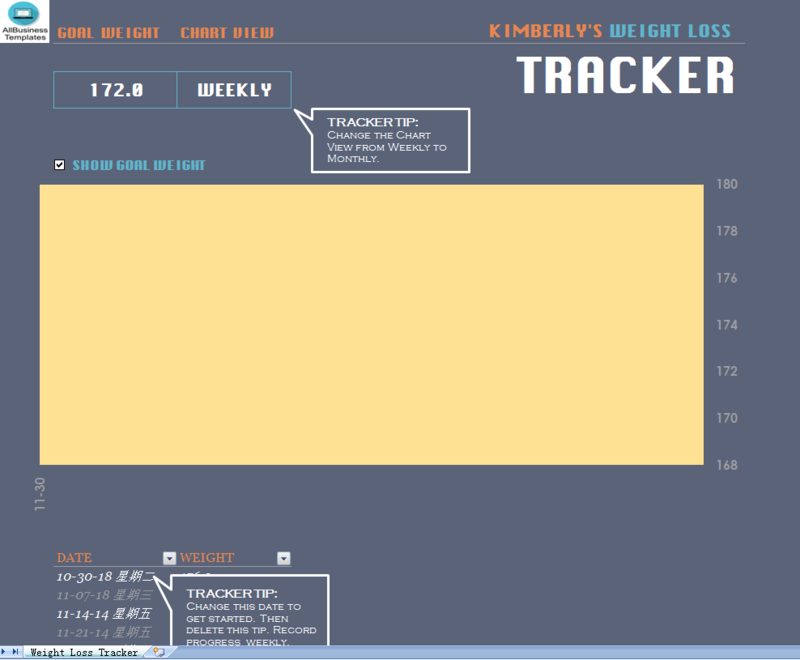 Download this weight loss tracker template now! Everyone wants to feel good and look great. Working hard, eating right, and staying motivated can be hard, but our Weight Loss Tracker template can help make things easier. Why Use Excel Weight Loss Tracker? Tracking one’s weight can be a productive process for someone trying to get in shape. People eat right and exercise but sometimes won’t feel the effects of their fit lifestyle. With this creative template, you can track your stats in a simple way that produces brilliant visual feedback from the Excel-created chart. The chart will show the user exactly how their healthy choices have made an impact. First, you’ll need to set your goal weight. From there you can set the chart view to either weekly or monthly options. Most people use weekly so they can keep more in-depth statistics on their progress. Above the chart, you can select whether or not to show your goal weight. Below the chart, you can record your weight loss stats. The template is set up to record every week with the recorded weight next to the date. After your weight has been recorded, the chart is automatically updated with the new information. Get this free beneficial template now and start recording your progress!